Nothing against your hometown fling, but this is not that kind of carnival. This is Carnival. You probably know it as Mardi Gras. And even though New Orleans is the capital of the celebration stateside, Carnival is king throughout the entire Caribbean. The festival originated in Trinidad & Tobago after French colonists arrived on the islands in the late 18th century, and though it was a pre-Lenten tradition at first, it has since morphed into a culturally inclusive and unique celebration of emancipation. Let’s take a look at how different Caribbean nations get down (and when you should plan on being there to help celebrate). Antigua’s Carnival begins the final week of July and celebrates emancipation and culture with concerts, elaborate costumes, and colorful parades. 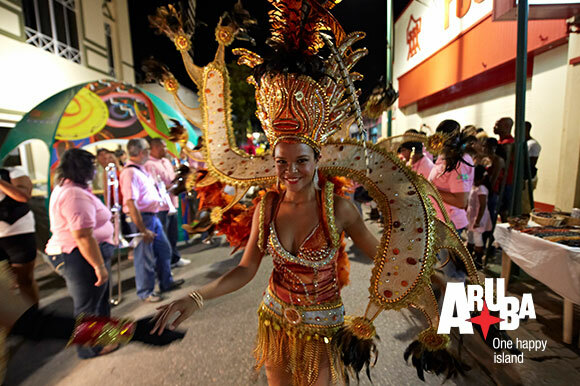 Aruba’s month-long Carnival celebration begins in January, and there’s a parade almost every single day. Be there for the King and Queen elections, and definitely don’t miss the Burning of King Momo. 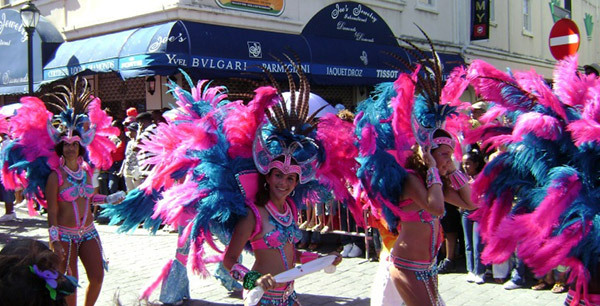 During Junkanoo, The Bahamas celebrate emancipation and island culture with music, dancing, and parades. There’s no better place to be than Nassau to get in on the action. To celebrate the end of sugarcane season in the summer, Barbados amps up with the Crop Over festival. When Rihanna makes headlines every year for joining in the festivities, you know it’s gotta be good. 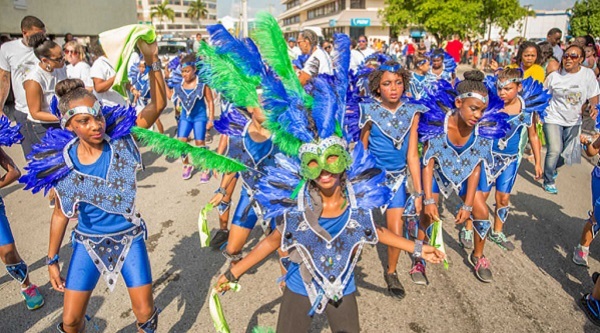 The Cayman Islands celebrate unity during the Batabano festival in the first week of May, but a week before the merriment begin, families can find all kinds of fun for the kids at the Junior Carnival Batabano. In the Dominican Republic, Carnival is celebrated throughout February with a parade and party every Sunday until La Vega on the 27th—their Independence Day. 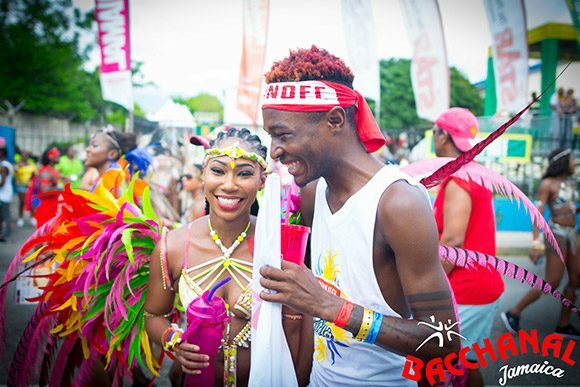 Jamaica celebrates Bacchanal beginning in December and the party doesn’t stop until the weekend after Easter. 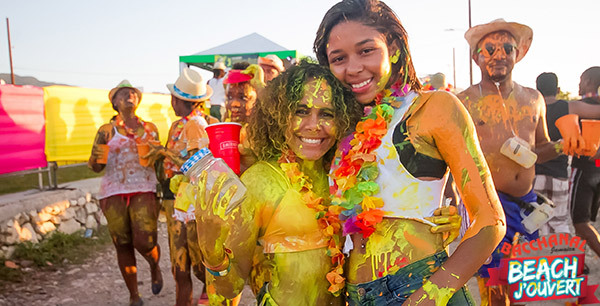 Catch one of the best parties at Beach J’Ouvert on James Bond Beach in Ochos Rios, and prepare for some paint throwing. Puerto Rico begins celebrating Carnaval Ponceño a week before Lent begins, and you can be sure to find the biggest party in Ponce. St. Kitts and Nevis begins to celebrate Sugar Mas in November with bar crawls, steel pan competitions, parades, Calypso competitions and soca music parties. 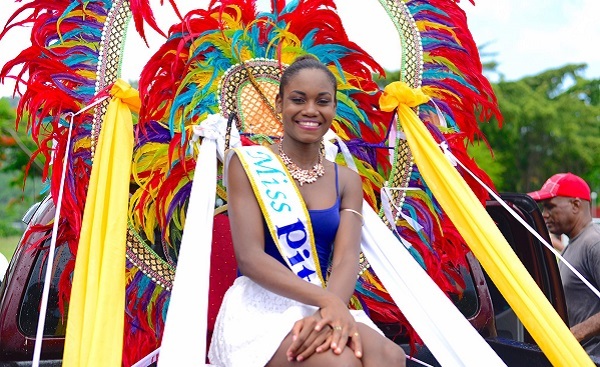 Saint Lucia’s National Schools Calypso Competition and National Carnival Queen Pageant get Carnival rolling in June. And get ready to practice the island-wide “wining” dance move. It’s all in the hips. St. Maarten kicks off their three-week Carnival in April and keeps the party going with food and concerts galore. They even have a free Carnival app so you never miss a beat. Turks & Caicos celebrates emancipation with their Junkanoo festival in the middle of the holiday season during December and January. The three U.S. Virgin Islands celebrate Carnival with calypso concerts, parades and so much more at different times of the year. St. Thomas hosts their celebration April through May; St. Croix celebrates December through January; St. John celebrates in Cruz Bay June through July. Thinking about dusting off that suitcase and joining the festivities? Start planning your Carnival adventure today.